D. Visit to "The Deep" after the scenic run on Sunday 15th June. ►For the dinner, we selected our own menu à la carte at the restaurant on the evening. Special area set aside for us. ►Wd could eat à la carte or go for Chef's Choice which cost £20.00 for three courses. Phill Green, ex Jowett man known to many of us, attended the dinner. As a lad working at Jowett, Phill used to race motorcycles on the nearby Brough aerodrome with a couple of other Jowett lads: they would transport their machines (pre-war BSAs and the like) to and from Brough in a Bradford van. 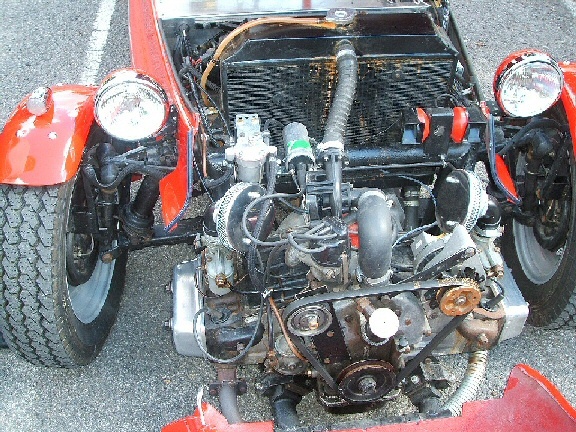 Phill worked in Jowett's Experimental Dept and was privy to all the developments going on there including the preparations for the great competitions. He was a great driver and enthusiast of the Jupiter. In fact following the weekend he went out and bought one! 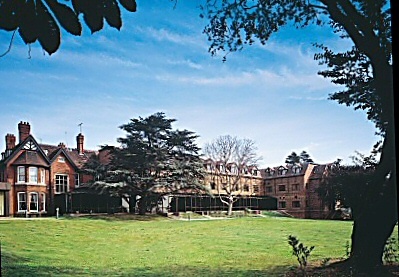 About the Hotel. The Ramada Hotel Hull, AA recommended 3-star, is set in 12 acres of landscaped gardens between Beverley (4 miles) and Hull (5 miles). below: here are some of us on the Sunday morning first thing. Tony and Angela Mumby kindly organised the weekend for us, which was well attended, with a total of 14 Jupiters appearing at one time or another over the weekend. The longest drive was by Tony and Elizabeth Day who travelled just over 300 miles. to our hotel. A total of at least 14 Jupiters appeared at one time or another over the weekend. 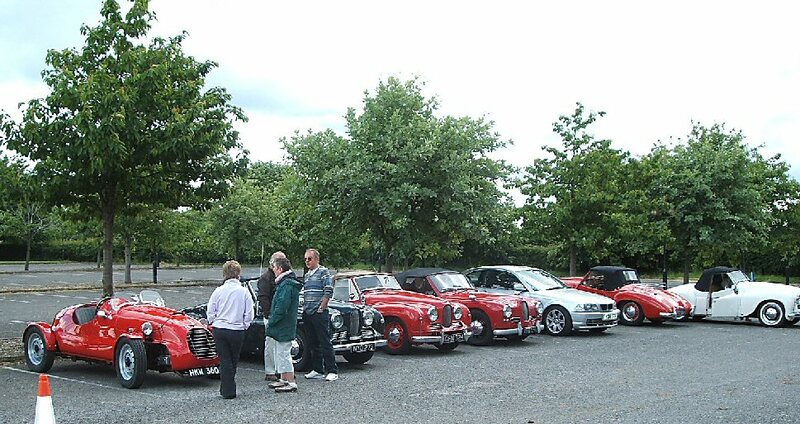 David Kennedy wrote: Sunday was good and the scenic drive devised by Tom Chapman was excellent. 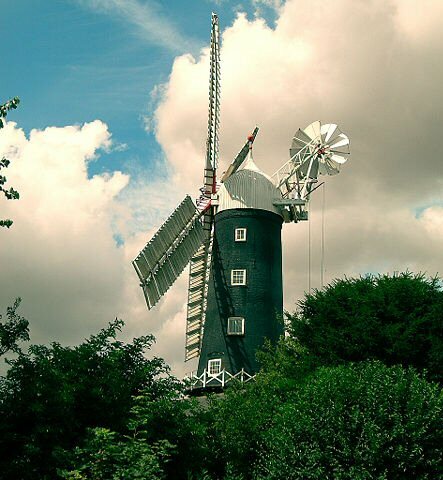 We visited Skidby Mill, a working windmill, which was well worth the visit, at an astounding price of just 80 pence! It is Yorkshire’s last surviving working windmill, and still grinding wheat by wind-power 180 years after it was built. It has three sets of grinding stones powered by four massive sails nearly 11 metres long. We liked Beverley and visited the Minster and had a bite to eat. The scenic run took us to our lunch stop and then The Deep. Quite a number of us visited it, I think it was 17 altogether and it was also well worth the visit, most interesting. The Deep is advertised as one of the most spectacular Aquariums in the world and tells the story of the world's oceans from the beginning of time until now – it has had over two million visitors since it opened just six years ago. Billed as the 'World's only Submarium', with 40 sharks amongst other sea creatures, and a glass lift ride through a 10-metre deep tank. 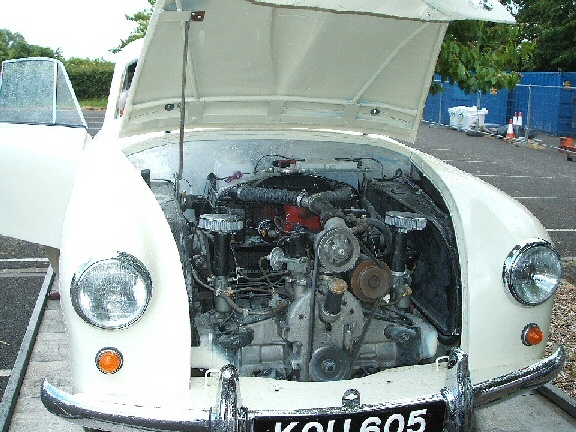 One of the Jowett connection is that the special-bodied Jupiter, very Jupiter-like (spot the differences!) now owned by Peter Holden was built in Hull by Barnaby Bodybuilders, then a large company but now alas disappeared. 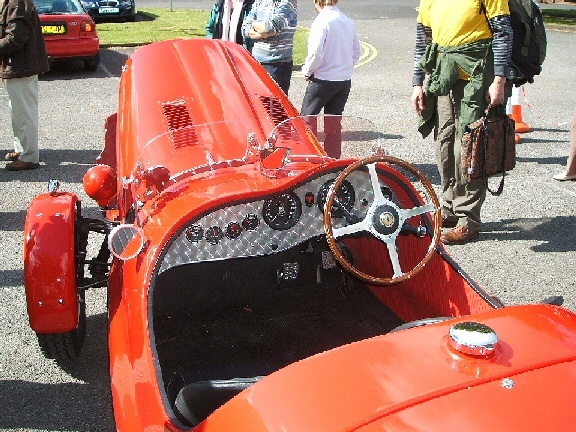 This car took part in several major events in its era. Another connection is that Brough, just 6 miles from our hotel the Hull Ramada, is where Blackburn & General Aircraft Co Ltd were based. Aircraft components were made by Jowett for this company from 1953 to the close of Jowett Engineering in 1963. 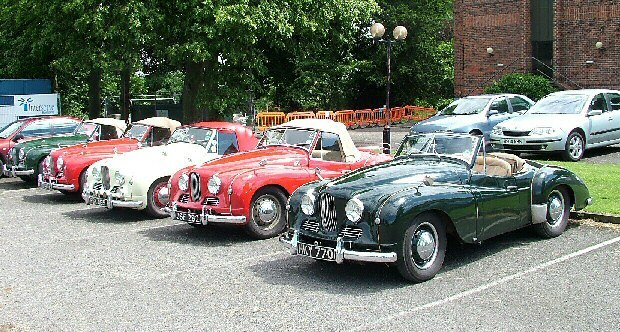 Blackburn bought Jowett Engineering in 1955 which enabled Jowett shareholders to be paid off in full, and perhaps also the oval web crank to be tooled up for and to go into production. 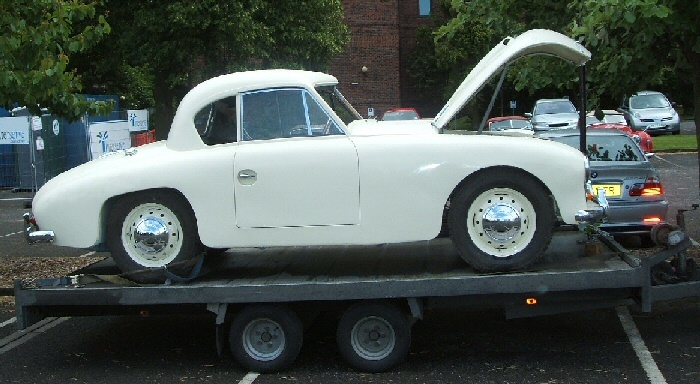 It is often said that Jowett went bust, but it was not so. In the mid-to-late 1950s Eric Turner, a director both of Jowett and Blackburn, was the first owner-driver of the R4 Jupiter SWT 356 and was living in Elloughton near Brough, as incidentally was Jowett’s post-war managing director Arthur Jopling from 1960 until his death. 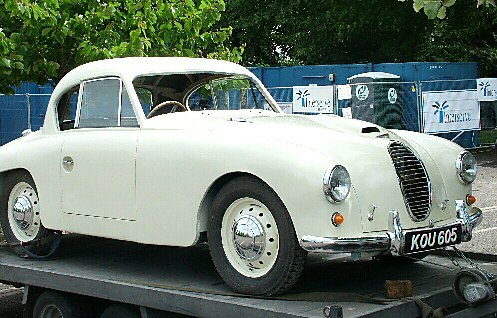 The ex-Motor Show R4 (recently of Norman Reeves, now owned by Keith Patchett JOAC magazine editior) was readied for the road by Jowett in July 1956 and officially transferred to Turner that November before being sold to Alf Thomas in July 1958. So the R4 would have spent two years domiciled in Brough. It was then Anne Neale’s car in the 6-hr Relay Race at Silverstone in August 1958. I interviewed Betty Jopling in Brough in 1988, crossing the Humber Bridge for the first time, for the book the Complete Jowett History. The Blackburn & General Aircraft Co was founded by Yorkshireman Robert Blackburn in 1909.Over a hundred different types of Blackburn aeroplane were designed and manufactured, either at the Olympia Works in Leeds or later at their factory and aerodrome at Brough. The proximity of the Humber River meant they were well situated for the launching of seaplanes. In 1960 the company became the Hawker Blackburns Division of the Hawker Siddeley Aviation, which in 1965 became Hawker Siddeley – Brough, and later part of the British Aerospace Kingston-Brough Division. 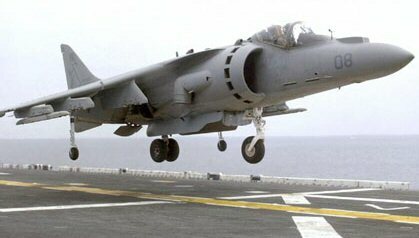 Two of the company's best known aircraft are said to be the Hawk, used by the RAF as the Red Arrows aerobatic team, and the Harrier jump-jet; the world's only vertical take-off aeroplane, and it is all done with one engine! The factory is still going in Brough under the name BAE Systems. Perhaps it is no coincidence that there is a Blackburn Avenue a few hundred metres from the BAE Brough factory. For those who came up from the south, we crossed the Humber Bridge (which is the fifth-largest single-span suspension bridge in the world).